Window treatments don’t only add beauty and complete a room’s décor. They can also help illuminate a room that is too dark or help block out intense sun light that can lead to faded furniture and flooring. In an office, window treatments can alleviate glare on computer and television screens. One of the best choices for light control in any room of your home is wood shutters. Southern Shutters & Blinds in Georgetown, TX, offers a variety of wood shutters that will help manage light within your overall decorative plan. Daylighting is the buzzword that’s used nowadays when talking about controlling and using sunlight to the best decorative and energy advantage for your home. Wood shutters are attractive in and of themselves, so they not only enhance the look of a room, they can also make the view beyond your windows more attractive. (Or if necessary, of course, they hide unappealing views, too, as well as provide the privacy that you and your family want.) You can save energy when you use sunlight to illuminate a room rather than artificial light. And sunlight can also be a source of heat for your home during the winter months, or you can block sun during the summer months to reduce electricity bills. Obviously, a room with large windows will have different light control requirements than a room with smaller windows. Likewise, a room with a southern exposure will receive different light throughout the seasons than a room with a northern exposure. And whether or not your home is surrounded by shade trees will also be a consideration. Shutters can help you control the quality of light in any room. You can open the shutters fully to allow the maximum amount of light in, or you can adjust the tilting louvers to filter in less light. 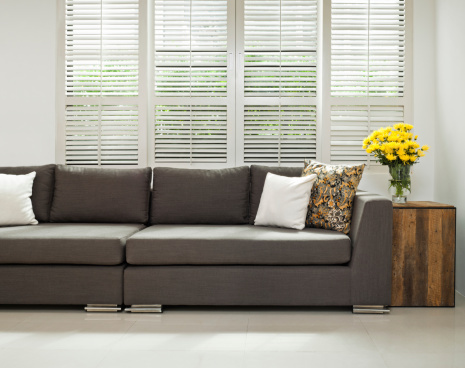 Shutters are among some of the more versatile window treatments if you’re looking to manage light in order to enhance the beauty and ambiance of a room in your home. If you’d like to learn more about how shutters can control sunlight in your home, then call Southern Shutters & Blinds today to schedule a FREE In-Home Personal Design Session. Southern Shutters and Blinds proudly serves customers throughout Georgetown and Manor, TX, Austin, San Antonio, Georgetown, Round Rock, Liberty Hill, and the surrounding communities.